Successfully Added Wearable Mini WiFi Camera - 720p Resolution, Motion Detection, CMOS Sensor, App Support, 32GB SD Card Slot, 90-Degree, 600mAh to your Shopping Cart. With a mini wearable WiFi camera at your side, none of your adventures will ever be forgotten again. Thanks to its miniature size, this WiFi camera can be easily carried around. You will be able to attach it to your shirt, helmet, or equipment. No matter where you go next, this camera will capture virtually anything. Additionally, it could also be used as an improvised security camera thanks to its motion detection feature. Simply place it in your room, and it will record all movement when you’re not around. 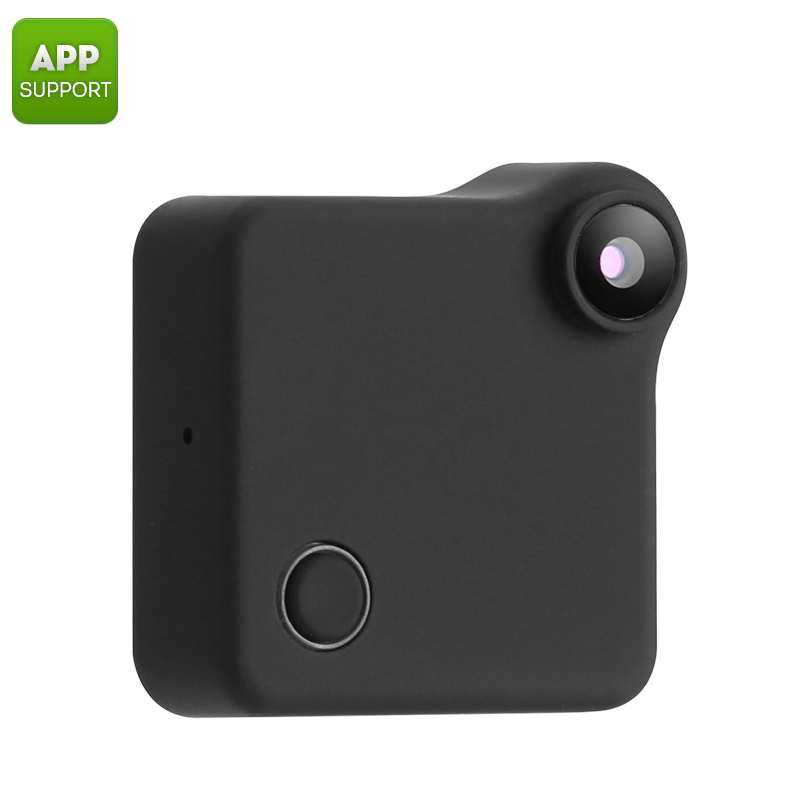 This wearable WiFi camera comes with a 600mAh battery. The battery brings along enough juice to continuously record video for up to two hours. All recordings are captured in HD 720P resolution. Thanks to this, you’ll be treated with stunning footage that offers great detail and vivid color. Additionally, it is also capable of capturing of HD pictures. It features a 90-degree lens, thanks to which it captures all that happens in front of you. From now on nothing will pass by uncaptured. A 32GB SD card port offers plenty of storage space for you to keep all your recorded video and photographs. With an intergraded microphone, this mini WiFi camera records high-quality sounds that will complete your footage. Your action camera furthermore comes with its own mobile application. When used with the App, you’re capable if instantly sharing recordings to your mobile phone. The next time you head out, this mini camera will capture all your adventures in mesmerizing HD resolution. From now on you’ll always be able to recall your memories and share them with friends and family back home. Whether you use it to shoot outdoor or for security purposes, this camera is sure to meet your demands. This WiFi Camera comes with a 12 months warranty, brought to you by the leader in electronic devices as well as wholesale electronic gadgets..